We are delighted to announce that Maurizio Battino, Editor-in-Chief of Mediterranean Journal of Nutrition and Metabolism, has been recognized for the fourth consecutive year as a 2018 Clarivate Highly Cited Researcher. 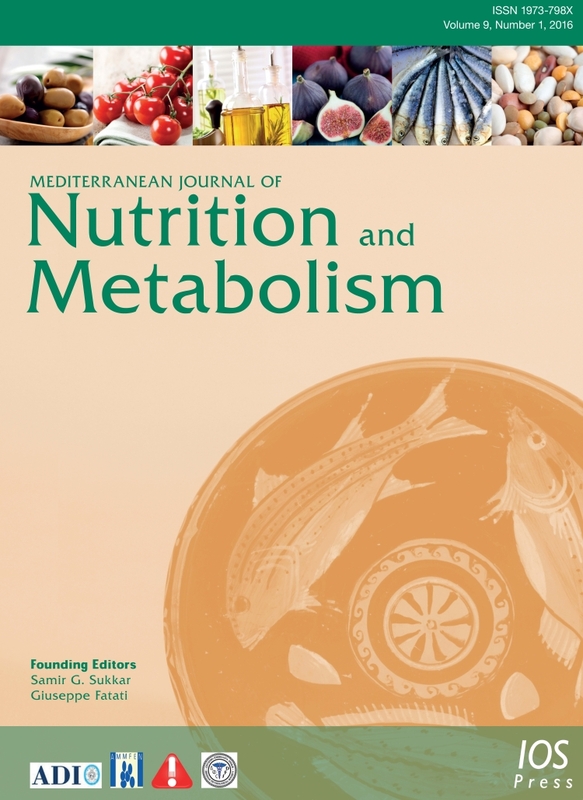 The Mediterranean Journal of Nutrition and Metabolism publishes original scientific papers on metabolism, including diabesity and eating disorders; nutrition (epidemiological, basic, clinical and artificial); dietary and nutritional practices and management and their impact on health from prevention to treatment. The journal hosts the proceedings of relevant congresses and presents shorter notices focused on the original character of the Mediterranean nutritional civilisation. In addition, this journal is intended as a platform for scientific debate and knowledge-sharing among students and clinical practitioners, and between them and the broader scientific community, and finally as a tool for promoting and enhancing scientific cooperation. Please click here for our ethics policy.